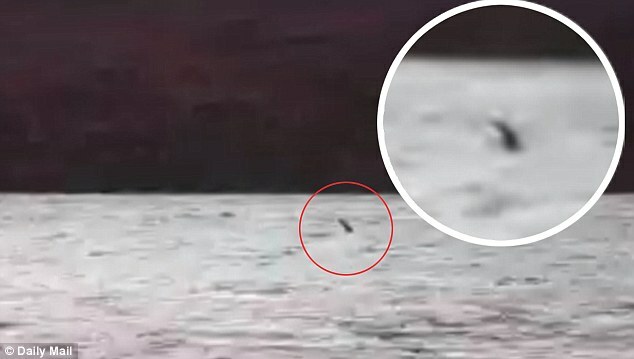 Has Nessie finally been caught on video? 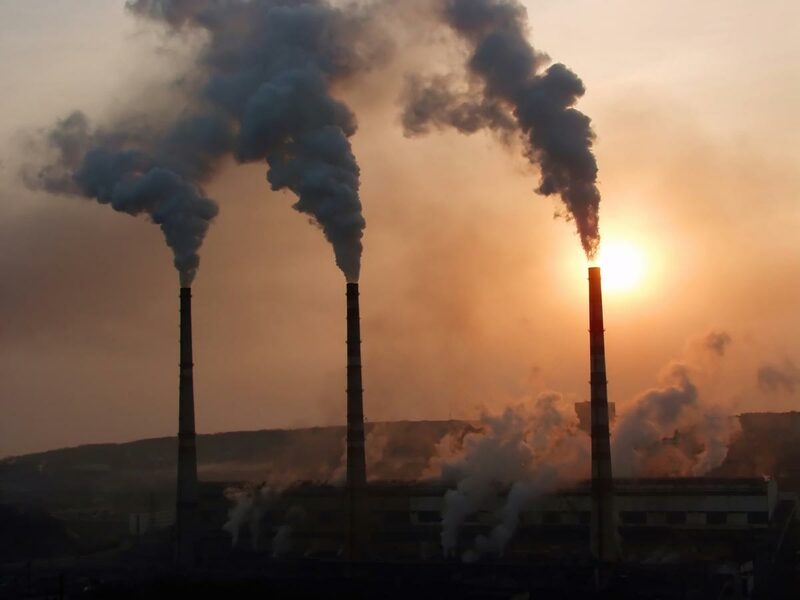 It’s no secret that air pollution is a growing problem. But just how bad it is it ? Earlier this year, the air quality in London surpassed the toxic smog in Beijing — reaching a jaw-dropping 197 micrograms of particulate per cubic meter. In the morning of June, 30 1908 eyewitnesses reported a large fireball crossing the sky above the taiga of the Stony Tunguska (PodkamennayaTunguska) in Siberia. A series of explosions was heard even in the 1.200km distant village of Achajewskoje. Various meteorological stations in Europe recorded seismic and pressure waves and in the following days strange atmospheric phenomena were observed, silvery glowing clouds, colourful sunsets and strange luminescence in the night. Russian newspapers reported about a meteorite impact based on the eyewitness accounts and the hypothesis of Dr. Arkady Voznesensky (1864-1936), director of the Meteorological Observatory at Irkutsk from 1895 to 1917. International newspapers speculated about a possible volcanic explosion, remembering the eruption of Krakatoa in 1883. However the inaccessibility of the region and the instable political situation in Russia prevented further research. Thirteen years later the Russian mineralogist Leonid Alexejewitsch Kulik (1883-1942), reading some of the eyewitnesses' accounts about an explosion and a large glowing object, became interested in the phenomena - there was also the hope to recover precious extraterrestrial metals from the supposed meteorite. Kulik travelled to the city of Kansk, where he discovered further reports in the local archives. Most stories refer to large fireballs, flames and a sequence of 14 thunders. March 1927 he arrived at the outpost of Wanawara -then, April 13, Kulik discovered a large area of 2.150 square km covered with rotting logs and almost no tree still standing - the strange "Forest of Tunguska". Despite an intensive survey, Kulik and his team didn't locate a single great impact crater as expected, but found some circular pits that were interpreted as impact craters of fragments; however no meteoritic material was discovered in the entire studied area. In autumn 1927 a preliminary report by Kulik was published in various national and international newspapers, the destroyed forest and the event became known as the "Tunguska Event". Kulik formulated one of the first hypotheses to explain the phenomena and the lack of evidence on the ground, as he proposed that a bolid exploded already in the atmosphere, causing the observed explosion and devastation. Fragments became buried in the swampy ground, to soft to preserve the typical morphology of an impact crater. Also later expeditions in 1929 failed to find extraterrestrial material. In 1934 Sowjet scientists proposed a variation of the meteorite-hypothesis. A comet is composed mostly of ice, and would be completely vaporized in an explosion in the atmosphere. The lack of direct evidence generated many more or less serious speculations and hypothesis: The engineer Aleksander Kasantsews formulated between 1945 and 1959, based on the impression left by the first atomic bombs, an unusual explanation involving a nuclear explosion of possible extraterrestrial origin. American physicists published in 1973 in the journal Nature the idea that a small black hole collided with earth, causing some sort of matter-antimatter explosion. The German astrophysician Wolfgang Kundt and later Jason Phipps Morgan of the Cornell University in Ithaca and Paola Vannucchi from the University of Florence proposed in the last years an ulterior hypothesis: "Verneshots", in reference to the author of the novel "A Journey to the Center of the Earth", are supercritical magma/gas mixtures erupting violently from the underground. According to the proposed model in areas with a thick earth crust or composed of resistant rocks (the region of Tunguska is covered by the basalts of the Siberian Trapps) magmatic intrusions and gases tend to build up pressure until the cover is shattered to pieces. Hot gases escape into the atmosphere, causing a huge explosion. However the most compelling hypothesis remains the impact of a natural extraterrestrial object. This hypothesis is supported by the reports describing a fireball descending on the tundra, sedimentary features (the presence of nanodiamonds, magnetic- and silicate spherules in sediments) and the mapped distribution of the logs. 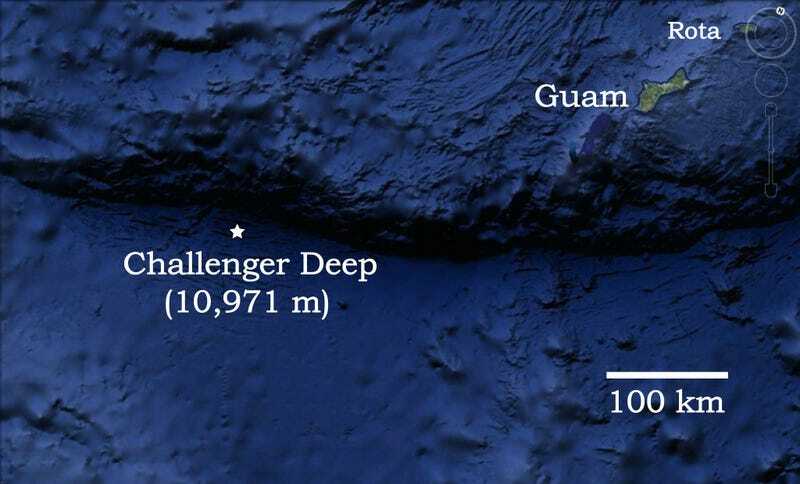 But there are some inconsistencies - accounts of a series of thunders are hard to reconcile with a single impact and the recovered sediments are not unambiguous, explainable also by the common background sedimentation of extraterrestrial material on earth. In 2007 Luca Gasperini and his research team of the University of Bologna proposed a small lake as possible impact crater of a fragment of the meteorite that caused the explosion. Lake Cheko is unusually deep for a region characterized by shallow ponds, formed by melting permafrost. The lake was apparently not reported previously of 1908, however the region was poorly mapped and explored at the time. Also here the proposed evidence is not undisputed as seen in the published paper by COLLINS et al. in 2008. Only the discovery of extraterrestrial material on the bottom of a lake would (may)be the decisive argument to settle the discussion of the mystery of Tunguska. Lake Toba is the largest volcanic lake in the world occupying the caldera of a supervolcano on the Island of Sumatra in Indonesia. Millions of fish were found dead by fishermen between May 3 and May 5, 2016. Officials are unable to find the source of the mass killing but think it is linked to the lack of dissolved oxygen in the water. Could the drop in oxygen content in the north-east of lake Toba be the result of volcanic activity of some kind? 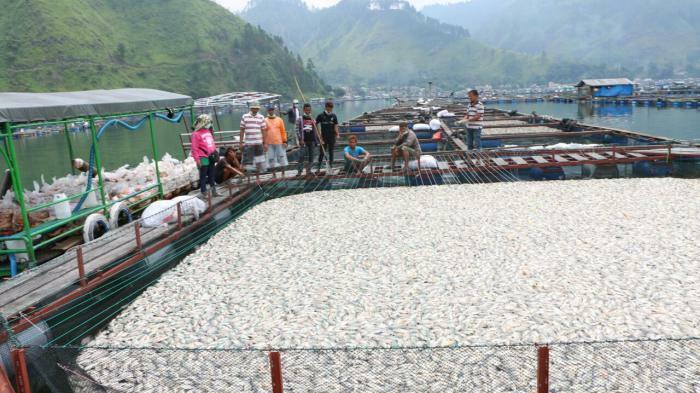 It all started one month ago, when fishermen at Lake Toba started to find dead fish in their nets. But the mysterious die-offs have suddenly increased beginning of this month, when professional fishermen caught more than 320 tones (May 3, 2016) and then 800 tons (May 5, 2016) of dead fish… In overall about 1500 tones in 3 days! So millions of fish! Fishermen report these apocalyptical fish kills have never happened before. Normally, they only find a few dead fish. But this time, all the fish are dead. Officials aren’t able to clearly pinpoint the cause of this still unexplained mass die-off but believe it is related to the lack of dissolved oxygen in the water.